Figure 1. 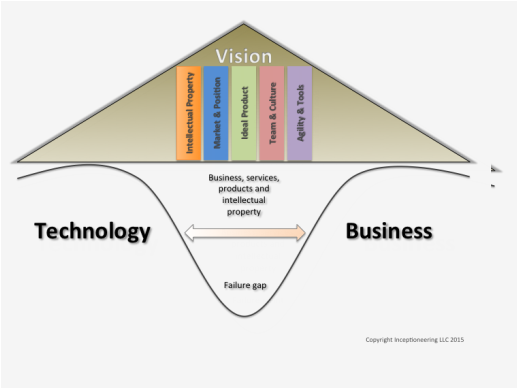 The largest failure of products and technologies is missing the mark. The bridge between the market requirement, the business need and the technology capability. Inceptioneering serves two primary functions to create and commercialize. The create side is designed to innovate and create intellectual property while building out the maximum opportunity. This side of the business is administered through consulting services. This can also be part of partnerships, startups and services committed toward annuities. The commercialization side of the business is designed to maximize ideas and build out the opportunity. Taking an idea through the matrix of the consumer experience, technology capabilities and business needs can be virtual or physical. We can build ideas physically through prototyping, testing and manufacturing to commercialization. Enabling business models that provides long term annuities through licensing, royalties, partnerships, intellectual property sale, digital applications, products and services. Figure 2. 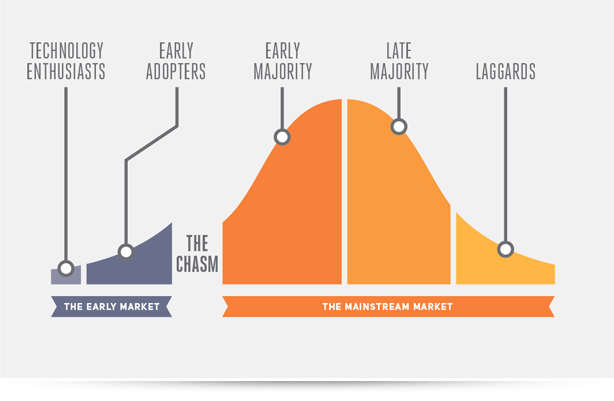 The chasm creates a fear of adoption rather than an inspiration for opportunity due to the expected investment. The reality is the chasm is misunderstood and today represents the the point where breakthroughs happen.